It is a very neutral brown and doesn't lean too red, too orange, or too anything else. The silver magnetic particles really pop, and the diagonal line design made me think of turkey feathers. I tried straight lines on my thumbs... not bad. The other thing that was just great about this polish was the application. This is just one coat and it was completely opaque. I didn't have any "dead" spots where the magnet didn't effect the polish, and it dried on it's own fairly quickly. I'm going to venture to say that Layla Magneffect Brown Sugar has a lot of movement, meaning that the magnetic particles show a strong illusion of moving within the polish. The silvery lines in this were constantly shifting and changing width, disappearing and reappearing. It's a fun color to wear. 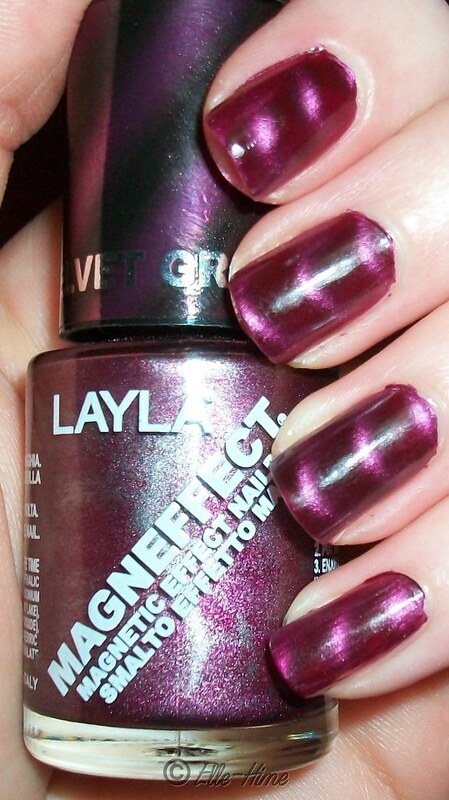 The next polish I wore was Layla Magneffect Velvet Groove. I was hoping for a rich cool-toned burgundy red, but to me it looks mostly purple. After enjoying Nails Inc. Houses of Parliament I was hoping for something different in my collection. I did use the Nails Inc. magnet on this color, though! The good news about both of these colors is that they both wore well with just minor tip wear. What do you think of them? 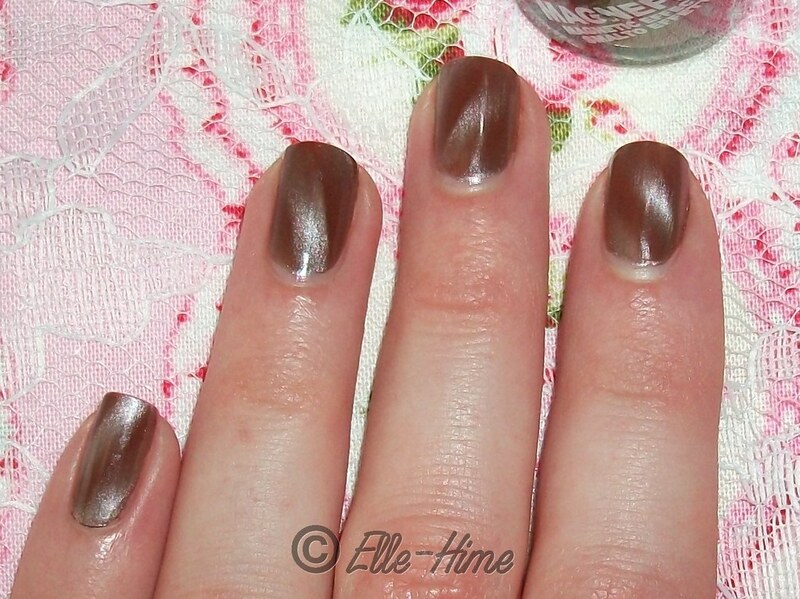 I love these magnetic polishes! took old, tired ideas and injected new life into them.